An incredible video has been making the rounds showing a small dog's close call with a car in reverse, and the heroism that saved his life. Unbeknownst to the wandering pup and his owner behind the wheel, the pair were on a deadly collision course. 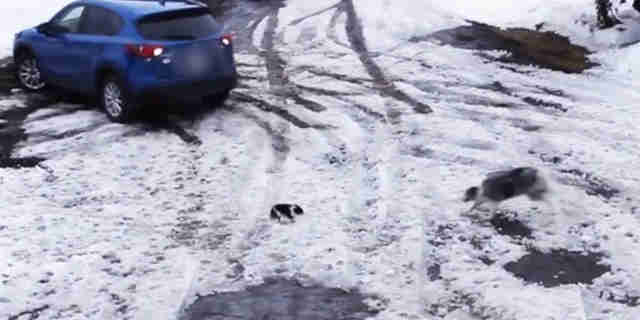 While the video contains few additional details, there's little doubt about the border collie's keen sense of situational awareness — and the driver's relief that it prevented a heartbreaking accident (though we do hope she'll a bit more careful in the future).